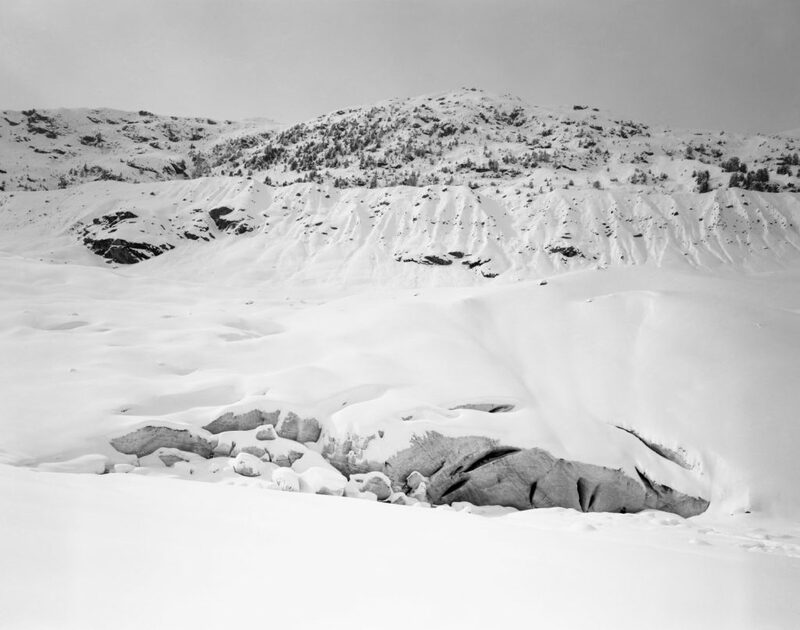 This elective course investigated the glacier landscapes of the swiss alps. We can’t imagine Switzerland without its glaciers. 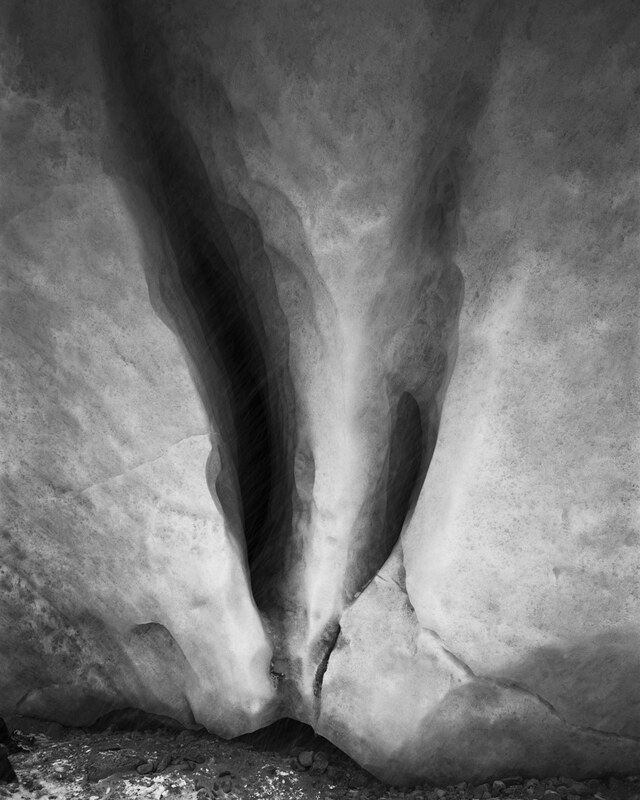 They formed the landscape we live in and remain a central element in our perception of the Swiss Alps – as ‘wild’ nature, aesthetic experience and natural resource. Based on the changes we have seen in the last 150 years, they may soon disappear forever. Encountering one such colossus of ice, we want to examine the glacier terminus, the point where the ice surfaces from beneath the snow. 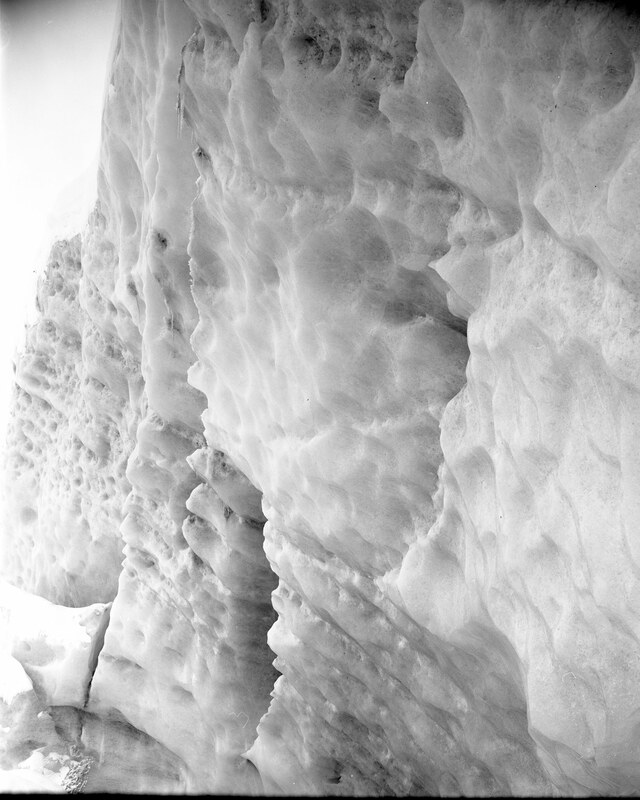 What will we discover by looking and listening into the glacier’s depth? 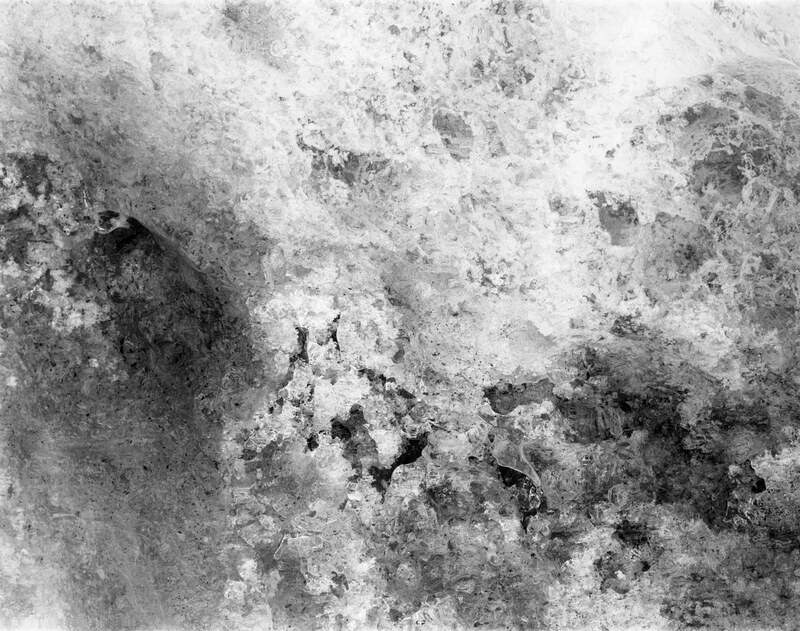 Can we find the essence of this large landscape phenomenon in its microstructure? 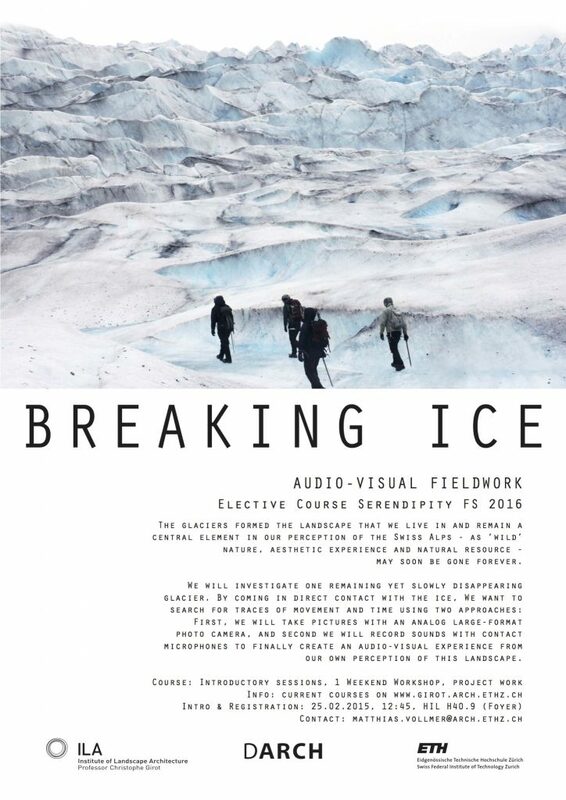 We want to come in direct contact with the ice, search for traces of movement and time. 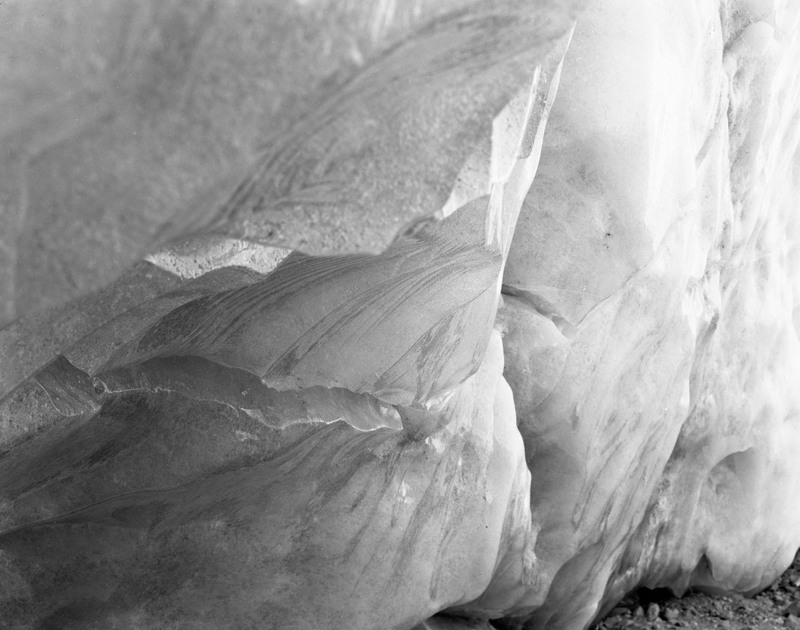 Through a weekend trip to the glacier of Morteratsch we will investigate its topology, depth and surface in a new way. 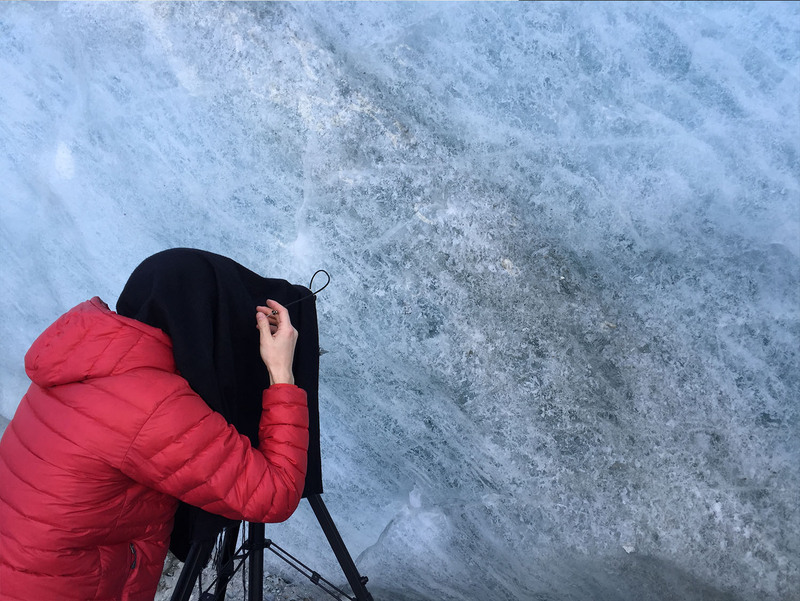 On site you will experiment with two types of landscape recordings: First, you will learn to take pictures with an analog, large-format photo camera to turn your focus to the ice’s structure, discovering in it layers of movement and collapse, light refraction and color gradient. 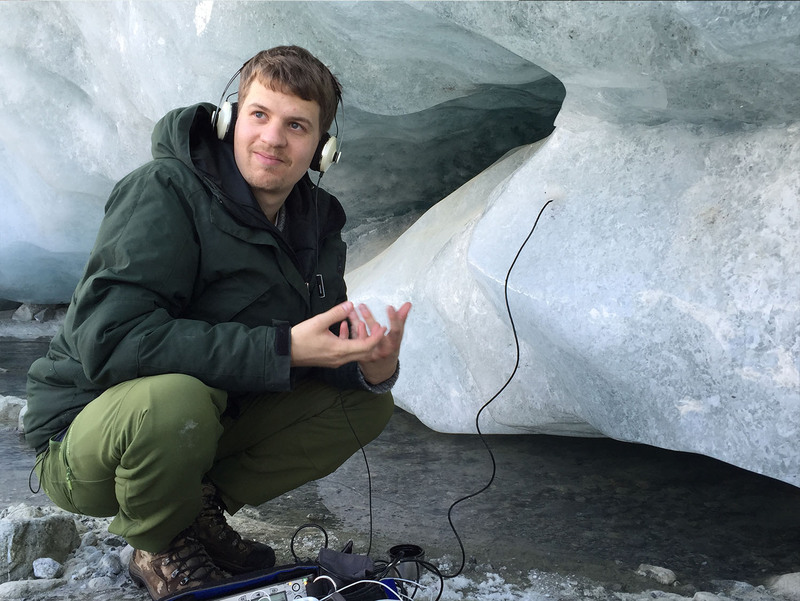 Second, you will make sound recording with contact microphones to connect with the acoustic body of the entire glacier, unveiling the close and distant sounds of ice, snow and water. What can we learn from this slowly moving landscape and the process of land formation in a long term observation? What could define a new perception of the Alps without glaciers? You will formulate your own questions on the topic and develop these during a block seminar in June.